If you do one thing while in Johannesburg, this must surely be it. Even a brief visit to the world-class museum will leave you moved and inspired. This is an essential place that all South Africans must visit, retelling the story of the brutal struggle and the impact it had on the country as well as its still lingering presence. Open since 2001, the Museum has established itself as the world's foremost museum dealing with 20th century South Africa. 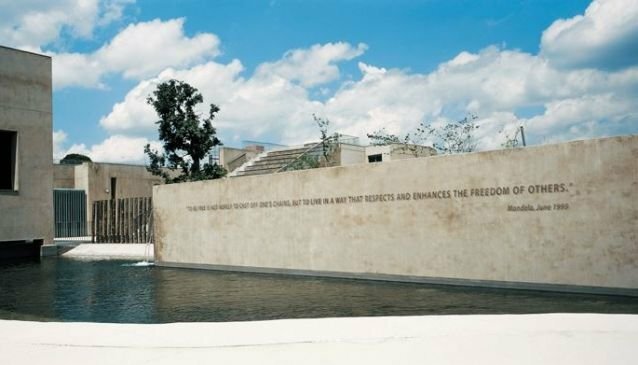 A visit to the museum will guide you through South Africa's history, from the establishment of the division in 1948 by the white elected National Party government, right through to the release and election of Nelson Mandela in 1994. No stone is left unturned in this fascinating and powerful examination of the devastating saga that was one of the most horrific periods in Africa's history. The museum has been assembled and is run by a highly respected team of curators, film-makers, historians and designers, all of whom have put their special touch on the various exhibits. The result of this is a multi-sensory experience, and you will find a wide range of photographs, videos, texts, sound clips and artefacts to interact with throughout the building. It's this holistic, multi-disciplinary approach that sets this museum apart from many others around the world.